War on Women Ramps Up. So, Arizona passed a bill stating that a doctor can refuse to disclose VITAL medical information to a woman if he thinks telling her means she might get an abortion. What this means is that women who get pre-natal testing to find out if there is something wrong with their fetus, that will impact either their health, or the health of the fetus, and if the doctor suspects that information will lead to an abortion, he can opt not to tell the woman. When I posted this link on Facebook a male friend said he couldn’t believe that doctors would seriously withhold treatment or vital health information that could lead to the death of the patient, I told him about the experience of my online friend Mikki Kendall, who nearly bled to death in a Chicago emergency room because a doctor refused to perform an abortion when she started to miscarry (spontaneous abortion, if you listened to the last podcast). I don’t blame him for not thinking any doctor in good conscience could withhold vital information that could result in patient death. As a man, he has likely never encountered legislation directly pertaining to him that means doctors are obligated to tell him scientifically disproven “theories” about any procedure he might undergo. But the fact of the matter is that in many states doctors are legally mandated to tell women that abortion causes breast cancer, which it does not, that abortion invariably leads to depression, which it does not. And doctors already withhold treatments, even life-saving procedures, from women every day with legislative blessing. Currently there are two doctors in the United States who perform late term abortions. 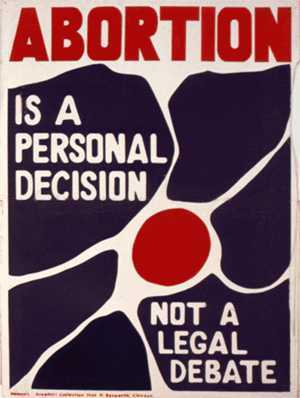 Late term abortions are only performed if the fetus is already dead or absolutely will not survive (anencephaly is one such diagnosis), or the health of the mother is severely at risk. What the Arizona law will do is kill women. It is going to allow doctors to withhold information on the state of their pregnancies from women who most need to know what those tests revealed. And not only in case of the mother’s health. It means that women cannot make decisions about whether or not to have a child that will have serious health issues, whether or not they will be able to afford a sick child, or whether or not they will be emotionally able to raise a seriously ill child. In worst cases scenarios, it will force women to give birth to children who have died in the womb, or who may survive just a few hours. What all these Republican legislative actions are doing is trying to punish women for trying to be free and equal human beings. They’re trying to punish women for making gains in the public sector. They’re trying to insert themselves into doctors’ offices and women’s uteri. They are only interested in small government for them, not for women, or minorities, or anyone not white, rich and male. A friend’s friend said that Republicans want a small government, so small they can fit it in women’s vaginas. Yeah, I agree. Have you seen the jpg of the picture of an elephant in a sonogram of a uterus? Pretty accurate actually. This entry was posted on March 9, 2012 by geekgirlsrule in Featured Articles, Misogyny, Morality, Politics, Reproductive Rights, Sexism.